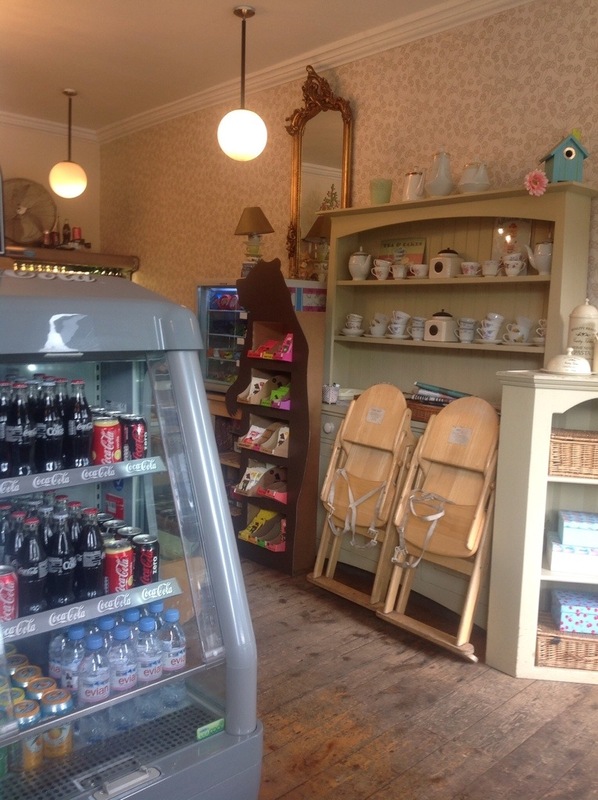 Nice coffee and traditional English cakes make for frequent visits to Montpelier’s. And some of those traditional English cakes are exactly what they should be. There must have been upsides to being Miss Marple, after all. Other than the mystery solving smugness, she must also have eaten some really excellent traditional English cakes to justify a life in beige. It’s been a while since I waxed lyrical about chocolate brownies and flapjack so I reckon I’m allowed a moment of repetition here: The best flapjacks crumble, oh they are lovely. They drop soft gold crumbs on your plate to make the flapjack eating experience last beyond the last bite. They have a crispy top and crust to maximise the texture experience. And they are absolutely perfect at Montpellier’s. Take a moment, here. Reflect on great flapjack. However in the case of chocolate brownies, there is more than one way to bake perfection. And the method of perfection sourced by Montpellier is this one where it is rich and crumbly and where the taste of a well sourced chocolate shines through. Service has become more friendly in recent years. I feel much less ‘processed’ as a customer and they smile at you these days. They are also good at solid lunches of the jacket potato or ploughmans variety. It is one of the few places lucky enough to have a continental pavement terrace for the summer. As you can see from the picture, there is also a plentiful supply of ice cream, although Boulangerie Jade’s selection is so delicious, I seldom experiment with others. I do hope Miss Marple found good ice cream too. 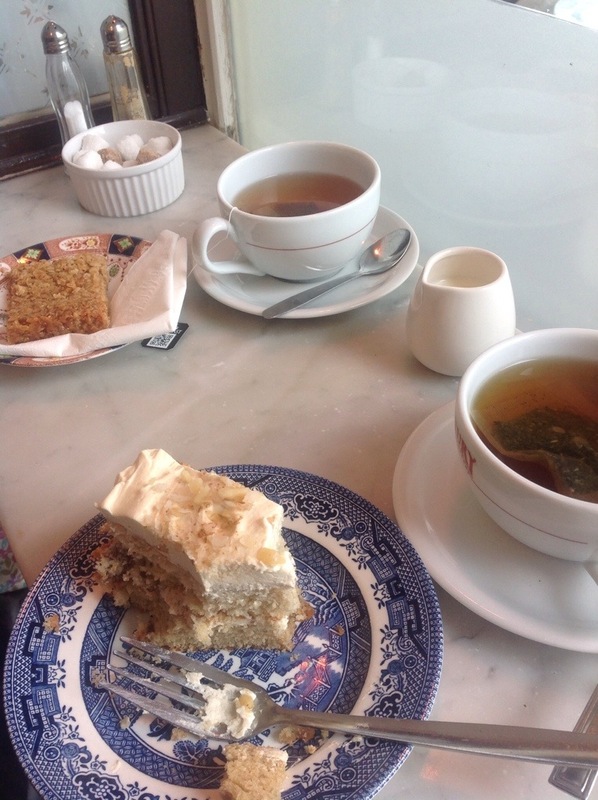 This entry was posted in Coffee Shop, Montpelier's and tagged Blackheath, cake, chocolate brownie, coffee and walnut cake, eating out, SE3, traditional english by blackheathcoffeeshops. Bookmark the permalink.